Te Reo Māori is an official language of New Zealand, and is increasingly being heard in the courts. More than half of New Zealanders commonly use te reo words or phrases. This webinar aims to help you feel confident in the use and understanding of te reo in the context of its use in the courts. As well as explaining the rules of its use in court, it will introduce you to some key phrases. Key phrases and giving your appearance in te reo. The webinar is being provided at a minimum cost by the NZBA as part of its support for the use and normalisation of te reo Māori in our legal system. Te Kani Williams (Tūhoe, Whakatōhea, Tainui, Ngāi Tai ki Tōrere and Te Aupōuri) is a Director in Wackrow Williams & Davies. He has a very wide sphere of practice incorporating Commercial, Civil Litigation, Family, Property and Māori Legal issues. Te Kani has presented seminars on Māori Land Titles and on the Waitangi Tribunal, Māori Business matters and Treaty settlements. He regularly presents seminars for the College of Law on Te Reo Māori and Māori Business Hui Protocols and in March 2018 for the Auckland District Law Society on Te Ao Māori and the Law. Wackrow Williams & Davies Limited is the only Law Firm in NZ to have won Māori Language Awards from Te Taura Whiri I te Reo (the NZ Māori Language Commission) in 2015 and 2017. Te Kani has acted extensively in the Waitangi Tribunal area since 1997 to the present day. He has appeared several times on State and Māori Television as a guest/expert panelist on Māori and Treaty Issues speaking in both English and Māori..
Aidan Cameron is a barrister at Bankside chambers.He is fluent in te reo Māori and holds a BA in Māori Studies. 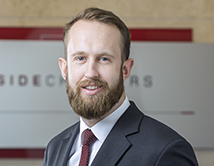 Prior to joining chambers, Aidan was a Senior Solicitor at Russell McVeagh. 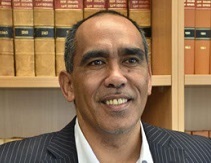 He has experience across a wide range of fields, including commercial disputes, public law litigation, planning, environmental, and public works issues, and te ao Māori. Aidan has appeared as counsel in various courts, including the Court of Appeal. Login with your email address to access these discounts. To arrange a group booking please click here to send a list of the names and email addresses of attendees to our Administrator. On Demand/Recording: A CPD compliant recording will be available for registrants who cannot attend the live broadcast. Cancellation-Refund Policy: If a participant is unable to attend the seminar, a substitute participant is welcome to attend at no additional cost. If you cannot find a substitute or attend the live webinar yourself, a recording together with CPD material can be made available to you shortly afterwards. A refund less a service fee of $25.00 will apply to all cancellations (received in writing) before midday Friday 22 February 2019. There will be no refunds for cancellations received after that time. The NZBA reserves the right to cancel or reschedule seminars if necessary.